Kingston College's Ugandan athlete Arymanya Rodgers competes at the 2018 ISSA/GraceKennedy Boys and Girls' Athletics Championships, at the National Stadium. (PHOTO: Marlon Reid). Kingston College's (KC) Ugandan athlete Arymanya Rodgers turned in a record-breaking performance to bring an end to day three action of the 2018 ISSA/GraceKennedy Boys and Girls' Athletics Championships, at the National Stadium on Thursday. Rodgers, in his second year at KC, proved a cut above the field to win the Boys' 2000-metre steeplechase open final in 5:49.46 seconds to erase the previous best of 5:53.14 set in 2016 by Thaleetio Green of St Jago High. KC collected 15 points from the event as Rodgers' teammate Tarees Rhoden finished third in 6:01.70 seconds after attempting to close a one-two victory for the North Street-based school for the second year in a row. Rivaldo Marshall of six-time defending champions Calabar denied KC the one-two finish by taking second place in 5:57.46 seconds. The fifteen points were enough to hand KC the lead in the point standing in the boys' section. They surged to 69 points after seven events scored to hold a slim five-point lead over Calabar High (64) going into Friday's fourth and penultimate day. Calabar had led KC by 10 points after five events. Jamaica College (JC) moved into third place with 36 points with St Jago High in second on 18 points. Wolmer's Boys (17 points), Petersfield High (16 points), Campion College (nine points), Rusea's High and Excelsior High (eight points each) and Buff Bay and Cornwall College (seven points each) complete the top 10. The Girls' 2000-metre steeplechase open final was won by Edwin Allen High's Aneisha Ingram in 7:07.02 seconds. The three-time defending champions also earned 15 points from that final to take the lead in the girls' standing. Samantha Pryce of Holmwood Technical High dashed the hopes of Edwin Allen finishing one-two by taking second place very easily in 7:09.35. Pryce's teammate Keima Davis finished third in 7.17.89. 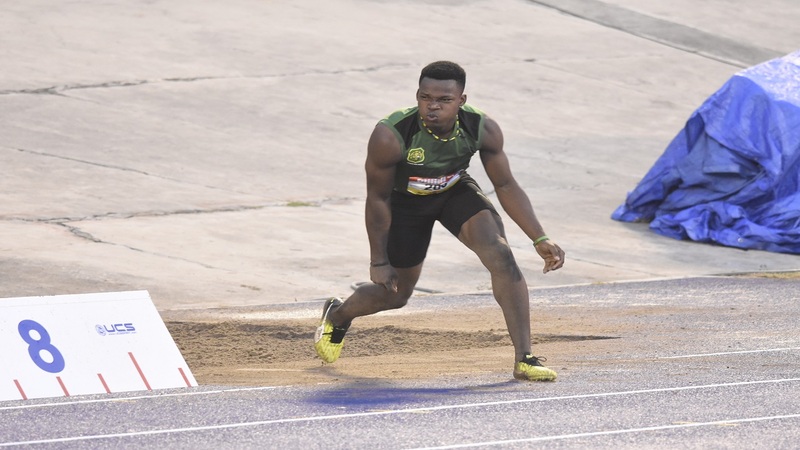 As a result of the 15 points earned from the final, Edwin Allen moved ahead of the point standing with 45 points after six events scored to hold a 13-point lead over second-place Hydel High (32 points). Rusea's High (21 points), Vere Technical and Immaculate High (16 points each), St Jago High (13 points), Manchester High (seven points) and Wolmer's Girls (6.50 points) round off the top 10. 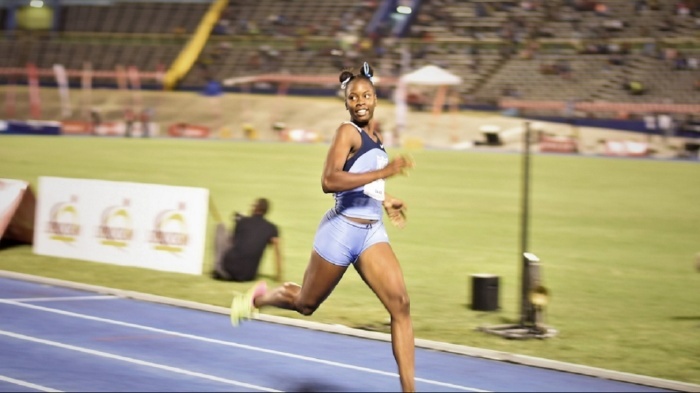 Edwin Allen High's outstanding sprinter Kevona Davis smashed Anneisha McLaughlin's long standing Class 2 200-metre record in the opening semi-final heat. Kevona Davis of Edwin Allen High. The 16-year-old Davis, who had the entire field beaten coming off the turn, stormed home in an impressive 22.92 seconds and even cut her speed, then glanced behind before crossing the line to erase the previous best of 23.13 seconds. Davis' sub-23 clocking is also a national youth record. McLaughlin set the Champs' record in 2002. The final will take place on Saturday at 5:25 pm. The other record on the day came from Shantae Foreman of Excelsior High, who defended her Class 3 high jump title in style. Foreman, as expected, outclassed the field by clearing 1.80 metres, just above the previous record of 1.79 metres she set in 2017. Vere Technical High's Annishka McDonald cleared 1.71 metres for second place. Excelsior collected 16 points from the event and at that stage they stormed into a five-point lead over Rusea's High after three finals. Foreman's teammate Daniel Hinds cleared 1.65 metres for third place and six points. There was another gold medal for KC on the day as Donovan Thames won the decathlon open title for the second straight year. Thames tallied 6340 points for the victory, while JC's Wikenson Fenelon finished second with 6148 points and Rusea's High Brandon McLaren ended third with 5727 points. 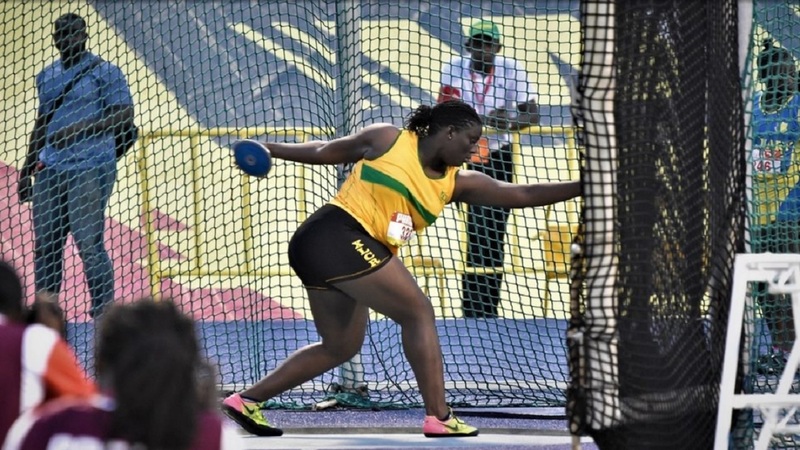 St Jago High's Roje Stona, as expected, took the Boys' Class 1 Discus Throw with an effort of 63.07 metres, beating Calabar High's Kai Chang (61.79m) and Petersfield High's Daniel Copeland (57.65m). Calabar High's Zackery Dillion threw 14.79m to take the Boys' Class 1 Shot Put ahead of JC's Jordan Edwards (14.69m) and KC's Ralford Mullings (14.53). Campion College's Derrick Bernard (1.80m) turned back the KC pair of Blaine Byam and Christopher Seaton, who botho cleared 1.75m, to win the Boys' Class 3 high jump. Calabar High had a lucky day as they benefitted from the disqualification of St Jago from the Boys' 1600-metre sprint relays to get into Saturday's final. St Jago easily won heat two of the preliminary round ahead of Calabar High to advance with the fastest qualifying time but had their number taken down later through Rule IAAF Rule 163.2B, which speaks about jostling or obstruction. Calabar High did not qualify for the final after their 3:37.11 clocking was not good enough to get them among the top eight times. With Calabar High getting a place in the final, nine teams will now compete in the medal round instead of eight. Bridgeport High were also disqualified. Holmwood Technical (3:29.22) will enter the final with the fastest qualifying time ahead of Wolmer's Boys (3:29.67) and KC (3:3.1.47). 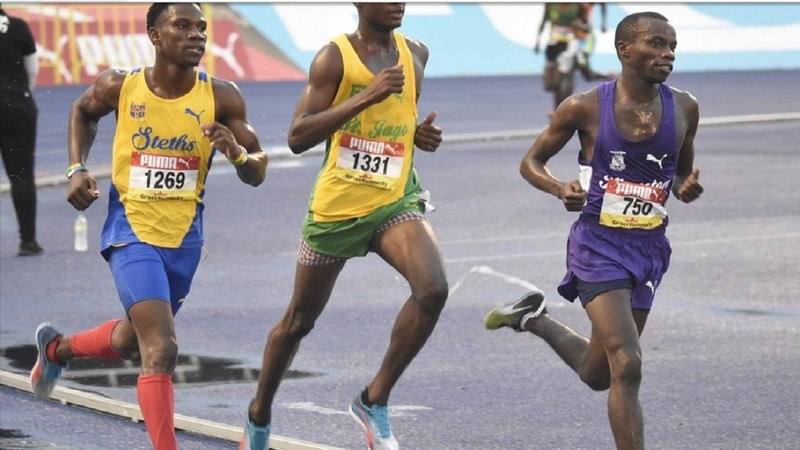 Meanwhile, KC's Rayon Campbell, who fell while competing in the heat three of the Boys' Class 2 800-metre semi-final has been rewarded with a place in Saturday's final. Campbell had completed the race to finish at the back in 2:06.28 seconds. Nine athletes will take place in the final instead of eight. In the girls' section, Edwin Allen won two finals on the day. Apart from Aneisha Ingram's victory in the Girls' 2000-metre steeplechase open, Edwin Allen High also won the Girls' Class 2 long jump through Akelia Smith ( 5.94 metres). Hydel High's Shanta Jones won the Class 4 title with a jump of 5.31 metres. Friday's fourth and penultimate day is scheduled to start at 8:30 am and will feature 14 girls' finals and 11 boys' finals.